Partners for the Common Good, in partnership with the Community Development Bankers Association, is launching the Small Business Impact at Scale Initiative. The program focuses on building the capacity of the CDFI banking sector to measure, assess, and communicate the impact of their small business lending, particularly benefitting low-income and minority communities. The W.K. Kellogg Foundation of Battle Creek, Michigan is funding the initiative with a $500,000 grant. With the grant, the Small Business Impact at Scale Initiative will help the CDFI banks gather information on both the quantitative and qualitative outcomes of their over $4 billion in business loans. The program will identify common business impact indicators, provide shared training and exchange of best practices, and pilot new models for efficient data collection. “Our goal is to facilitate a cadre of CDFI banks that have the expertise and tools to capture impact and evaluate the effectiveness of their small business lending activities,” said PCG CEO Jeannine Jacokes. Read the attached press release for more information. “A board member should be a partner in forming the relationship with a grantmaker, it’s just good common sense!” says Mike Burns, partner at BWB Solutions. Raising capital can be very challenging and Executive Directors can be more effective if a “volunteer,” i.e. a Board Chair, can validate to funders the great work that the organization does. Hear from BWB Solutions’ partners, Mike Burns and Kevin McQueen, as they discuss how organizations can effectively increase their fundraising activity by leveraging the relationship between Board Chair and Executive Director. In addition, representatives from Capital for Change, the largest full-service CDFI in Connecticut, will join the discussion to share their experience effectively raising capital to provide flexible, creative, and responsive financial products and services that support an inclusive and sustainable economy. Partners for the Common Good (PCG) congratulates our very own Carla Mannings, Chief Program Development Officer, on her OFN 2017 Board Candidacy! As a prospective OFN Board Member, she brings 30 years of banking and CDFI experience in finance and community development. At PCG, Carla serves in a leadership capacity as she oversees business development focused on the cultivation of new partners, borrowers, and projects. Carla hopes to bring her national perspective with experience in building the CDFI field to the OFN Board. With national and local expertise in banking, CDFIs, and community development, she would contribute a holistic approach to achieve industry-wide objectives around funding, policy, and messaging. If you are attending the 2017 CDFIs Invest OFN Conference in Washington, DC, from September 26th to the 28th, please come by PCG’s booth to say hello to Carla and the team. Partners for the Common Good is a national CDFI participation lender that partners with other CDFIs to provide capital to low-income people and communities. 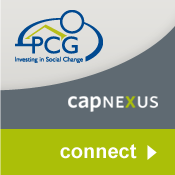 We are also the owner of CapNexus, a searchable, online database and networking tool that matches community development transactions to mission-focused capital. PCG is also recognized for managing the Community Development Bankers Association (CDBA), a national trade association of the community development bank sector that educates policymakers, regulators, legislators, and the general public on the importance of CDFIs for low-income communities. Please join PCG in supporting our colleague, Carla Mannings, in her efforts to represent the interests of OFN’s membership and its mission and strategy at the 2017 Board elections!... Read more here. Partners for the Common Good (PCG) is pleased to announce our $35 million New Markets Tax Credit (NMTC) award that is an allocation from the U.S. Treasury Department's Community Development Financial Institutions Fund (CDFI Fund). This award will allow PCG to finance community facilities such as charter schools and health care centers throughout the United States. These projects provide critical services to residents located in Severely Distressed communities. The NMTC program drives flexible, below-market financing to projects located in low-income neighborhoods that might not otherwise proceed. PCG will finance high impact community facility projects located in highly distressed communities. PCG will use the NMTC allocation to meet the borrower's needs by providing features such as flexible underwriting and low interest rate loans. Jeannine Jacokes, PCG’s Chief Executive Officer attended the U.S. Department of the Treasury’s Community Development Financial Institutions Fund (CDFI Fund) roundtable event that announced the 120 organizations nationwide that will receive a total of $7 billion in New Markets Tax Credit awards. Ms. Jacokes, who represented PCG and is the recipient of $35 million, was among the attendees which Treasury Secretary Jacob J. Lew announced the 2015-2016 awards. Partners for the Common Good is pleased to announce a new member of the Partners for the Common Good (PCG) team. Andrew Baldwin will serve as Chief Lending and Credit Officer. Mr. Baldwin’s primary role includes overseeing PCG’s lending and loan participation initiatives and play a key role in cultivating institutional investor participants and new lending partners. He will also will oversee a Portfolio Manager and a team of underwriting consultants. Prior to joining PCG, Mr. Baldwin was Director of Loan Originations at Corporation for Supportive Housing (CSH), a national community development financial institution (CDFI), overseeing lending and the New Markets Tax Credits (NMTC) program. In over eleven years at CSH, he played key roles in significant growth of the loan program, geographic expansion, as well as new product development. Prior experience includes work in housing development and finance in Los Angeles, economic development in Upstate New York, and management consulting at PricewaterhouseCoopers. Mr. Baldwin is also a former US Army officer. Partners for the Common Good (PCG) congratulates our very own Carla Mannings, Chief Program Development Officer, for her OFN 2016 Board Candidacy! As a prospective OFN Board Member, she brings over 20 years of banking and CDFI experience. At PCG, Carla serves in a leadership capacity for program and business development across our lending, CapNexus platform, and other program initiatives. Prior to joining PCG, Carla served as a Relationship Manager for NeighborWorks America where she advised Executive leadership of non-profit organizations, including CDFIs, located throughout the Southeast region of the United States. Other positions include serving as a Commercial Real Estate Loan Officer for Community Housing Capital where Ms. Mannings worked closely with borrowers across the nation through loan origination, underwriting and providing project based technical assistance. Carla would like to bring her national perspective with experience in building the field; working with all CDFI types – big and small, rural and urban, regulated and non-regulated; and she would like to serve as an active ambassador for OFN to understand, embrace, and effectively communicate to strategies to external allies and members. If you are attending the 2016 Rethink OFN Conference in Atlanta, please come by PCG’s booth and attend the panel session CDFIs: Adjusting with the Changing Market Demands, which Carla is moderating. 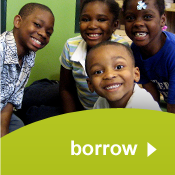 Partners for the Common Good (PCG), is national CDFI participation lender where we partner with other CDFIs to provide capital to low-income people and communities. We are also the owner of CapNexus, a searchable, online database and networking tool that matches community development transactions to mission focused capital. PCG is recognized for managing the Community Development Bankers Association (CDBA), a national trade association of the community development bank sector which... Read more here. Partners for the Common Good CEO Jeannine Jacokes was quoted in an article on CARS Inc.'s CDFI rating system which appeared on financial news site American Banker. CARS ratings provide CDFI loan fund investors a reliable point of reference, providing information on mission, impact and financial soundness. "Investors looking at Partners for the Common Good have asked whether it was CARS rated, said Jeannine Jacokes, the CDFI's CEO. Providing ratings and making the reporting system available removes guesswork, she says. 'The more CDFIs that participate in the reporting system makes the whole system stronger,' Jacokes says." The CARS rating system provides a number of benefits to loan funds and investors. It provides up-to-date reliable financial information to investors who are interested in impact investing, but apprehensive about the risks. CARS provides transparency to CDFI loan fund finances, eliminating that uncertainty. CDFIs also benefit from streamlined financial documentation compiled by CARS, which makes it easier for loan funds to track their own finances and provide that data to investors. "'I think this is a turning point for' CDFIs, says Brandee McHale, chief operating officer at the Citi Foundation, which provided the lead philanthropic funds for the reporting system and is a longtime CDFI supporter. 'This is taking it to the next level.'" Partners for the Common Good is currently CARS rated AAA+2. This rating signifies that PCG aligns its mission, strategies, activities and data to guide programming while exhibiting solid financial performance and leading initiatives to change government policy to benefit disadvantaged people and communities. Partners for the Common Good (PCG) and the Contact Fund have partnered on a new loan to the Women’s Housing and Economic Development Corporation (WHEDco). The $500,000 loan will fund the construction of the Bronx Commons Apartments, a 293 unit mixed-income development which will house the Bronx Music Heritage Center and 50,000 square feet of retail and community facility space. The Bronx Commons Apartments’ mixed-income units will be affordable to families earning between 50% and 80% of the area median income, with 88 units set aside for homeless families. The rooftop will feature a hydroponic green house and ground-level space to house the new Bronx Music Heritage Center. “Bronx Commons will bring to fruition decades of resident advocacy. The Bronx Music Heritage Center—featuring a soundstage, recording studio, exhibits and archives—will educate young people about their vibrant neighborhood, attract visitors from around the world and incubate new sounds by a younger generation of musicians,” said Nancy Biberman, founder and president of WHEDco. Active since 1992, WHEDco provides over 30,000 people annually with affordable housing, early childhood education, family support and microenterprise incubation. The development will help fill a niche for affordable housing in a neighborhood with a poverty rate of nearly 40%. Nearly 50% of tenants in the neighborhood are cost burdened by their rents. PCG and the Contact Fund have each contributed a $250,000 investment to the project for a total loan of $500,000. The loan to WHEDco is PCG’s first housing loan in New York City. It is the first loan partnership between PCG and the Contact Fund. “PCG loans have supported the construction and renovation of over 3,000 affordable units all across the country, but this is our first housing loan in New York City,” said PCG chief credit officer Kristin Faust. “Our partnership with Contact Fund has been vital because they are experienced lenders... Read more here. A complete list of participants is available here. Opportunity Finance Network (OFN) and the Citi Foundation today announced the selection of 50 Community Development Financial Institution (CDFI) professionals to take part in the Citi Leadership Program for Opportunity Finance. PCG Chief Credit Officer Kristin Faust and Director of Finance Larita Mimms were among those selected to participate in the program. The 10-month course begins in January. Ms. Faust and Ms. Mimms were chosen from more than 120 applicants nationwide. The selections reflect the diversity of CDFIs and the low-income, low-wealth and other disadvantaged communities they serve. PCG’s mission is to advance economic justice and opportunity for low income people and communities. By partnering with other mission-driven financial institutions, we bring more capital to the communities that need it most. 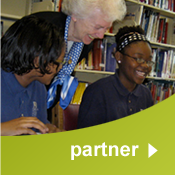 “We are proud to see Kristin Faust and Larita Mimms selected for the Citi Leadership Program. It’s a great honor that affirms the impact of our work and will enhance PCG’s ability to advance economic opportunity,” said PCG CEO Jeannine Jacokes. The program will include three separate career level cohorts, with 11 Executive Leaders, 19 Mid-career Leaders, and 20 Emerging Leaders. Kristin Faust was selected to participate in the Executive Leaders cohort and Larita Mimms was selected to participate in the Mid-Career Leaders cohort. Participants come from 21 states and the District of Columbia. They represent a variety of CDFI types and specialties, including commercial real estate lending, microfinance, consumer finance and affordable-housing finance. Partners for the Common Good is proud to announce its 150th community development loan to The Navajo Partnership for Housing. This $650,000 loan made with lending partner Community Housing Capital enables NPH to acquire and build 25 single-family homes near St. Michaels, Arizona, on land that is part of the Navajo National Reservation. This is an extremely rare opportunity as most land on the Reservation is in a deed restricted Tribal Trust. The Navajo Nation is willing to release 113 acres to NPH in the hopes of promoting homeownership and private land ownership in the area. The Navajo Partnership for Housing began in 1996 and seeks to empower Navajo families with new knowledge, skills, and understanding to enable them to complete real estate transactions. NPH serves the Navajo Nation, the largest Native American tribe representing 225,000 members dispersed across 27,000 square miles of reservation and occupying three states. Through this program they have assisted over 480 families and generated $40 million in mortgage financing. They also offer a home buying education program that has been very successful, with 15,000 orientations completed to date. About 10 percent of the program's graduates are eligible to receive loans or grants for home financing. These new homes will provide vital homeownership opportunities in a market that has historically lacked them. Before the 1990s no private bank had ever done mortgage lending within the Navajo Nation, as tribal law makes its real estate market unique and difficult to work with. The area also faces other hardships. Because potential jobs available on the reservation are limited, residents often must seek employment in nearby cities. In fact, between 25 and 43 percent of people on the reservation are unemployed; 40 percent of the families are below the federal poverty line, and the median income is below $20,000. The land that will be... Read more here.